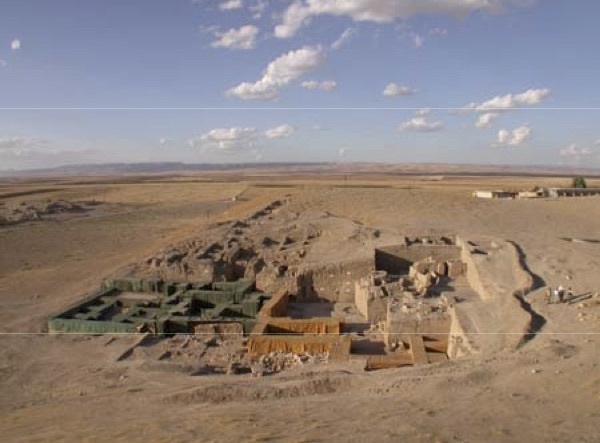 Tell Mozan is the site of the ancient city of Urkesh - which was known from myth and history, and which our excavations have firmly placed at this location in northeastern Syria. 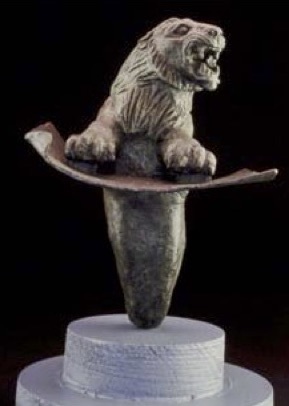 Its beginnings are as yet unknown, but they date back to the at least the early part of the fourth millennium B.C. 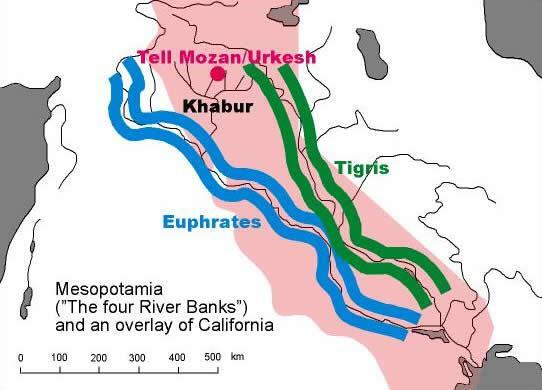 It was a main center of the Hurrians, who celebrated it in their myths as the home of the father of the gods, Kumarbi. It was also the capital of a kingdom that controlled the highlands immediately to the north, where the supplies of copper were located that made the city wealthy. What appears now as a natural hill is but a city shrouded within its own collapse - fragments of distant moments in time unpredictably layered and intersecting in the spatial bundle of buildings and strata. 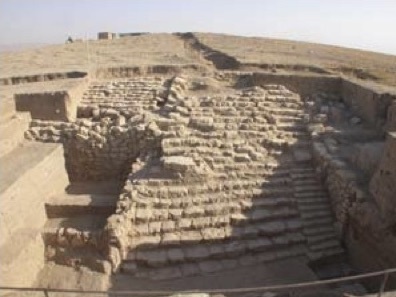 Through our work at this archaeological site, the hidden connections among these fragments are yielding, at Mozan, a coherent picture of the once cohesive urban landscape of Urkesh. Highest on its horizon is the temple of Kumarbi. The remnants we have now date to about 2400 B.C., and we think we know the name of the king who built it - Tish-atal, known to us from two magnificent bronze lions. Only the foundations of the temple remain today, and they rest atop an artificial hill which certainly hides the remnants of much earlier phases of the same Temple. The temple stood on a vast terrace: only portions of the monumental revetment wall and of the even more monumental staircase have been brought to light - enough, though, to give a sense of the spectacular choreography the ancients had been able to create. One would enjoy fully this choreography, as it was some four and a half millennia ago, if we could remove all the inert debris that has accumulated above the surface of the large square linking the great Temple Terrace with the Royal Palace. In years to come, should such a massive undertaking become possible, one would recover a view such as, for now, only a 3D reconstruction can bring this vista to light. The change in the ancient landscape was caused by the vertical growth of the ancient city in the centuries between 2200 and 1400 B.C. Houses came to be built around the great Temple Terrace, and as they fell into disrepair new ones were built on top of the collapse of the old ones. This continuous layering is visible in a major cross section across the site, which offers an excellent view into archaeological "stratigraphy." Below this progressive accretion, we are bringing to light the ancient Royal Palace. In its present form it dates to a time slightly later than the Temple, about 2300 B.C. Only the service wing has been fully excavated, while the formal wing, where the king lived, extends far under the later settlement. A large number of seal impressions have given us a wealth of historical information about the Hurrian dynasty that ruled the city and about the queens who hailed from the south, including the daughter of Naram-Sin, the all powerful king of Akkad who conquered the whole of the rest of Syria, but remained allied to Urkesh. A most remarkable structure is a large and deep stone pit where the spirits of the Netherworld were summoned by a medium, capable to interpret their chirp-like voices. Awesome because of the intense religious meaning it carried, the structure still has a profound impact on the visitor because of its monumentality, perfectly well preserved. 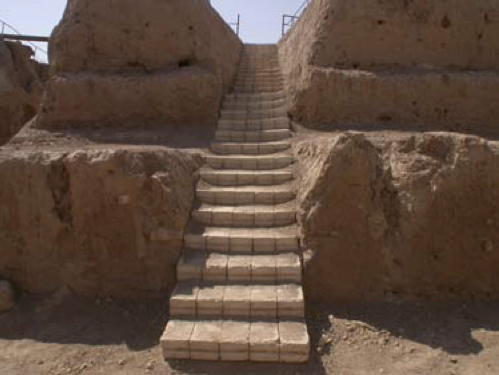 One of the unique features of our project is the way in which we undertake the conservation of the architecture immediately upon excavation. The fitted tarps reproduce accurately the outline of the walls and hence still convey the perception of architectural spaces and volumes as they once were. 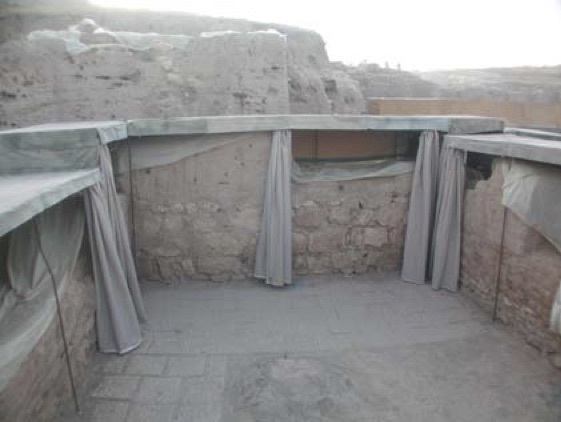 But under these tarps you can see mudbrick walls as they were first excavated years ago! This means that the visitor can see are the remnants of a broken tradition, which we must re-insert in the mainstream of our cultural consciousness. This is true of all archaeological sites in Syria, but Tell Mozan offers a singularly spectacular example. 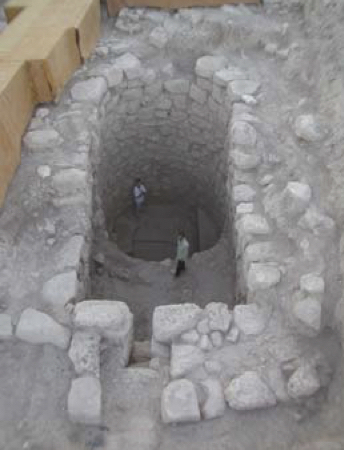 Our excavation strategy is such that a concern for presentation is inscribed into our work from the very beginning. This is particularly important at this site, where later intrusions are limited, and preservation of the more ancient levels excellent. We wish the coherence of the ancient urban texture to be closely reflected by the modern frame we place on it. Even for archaeologists, the visualization of the whole adds an enlightening dimension to the study of the detail. To this end, a large number of posters and other aids (in Arabic and English) make it possible for visitors to study the site in depth even when the Expedition is not in residence. A central goal of our project has been the development of a digital publication program that confronts long standing problems of archaeological publishing, and exploits the true potential of the digital medium. 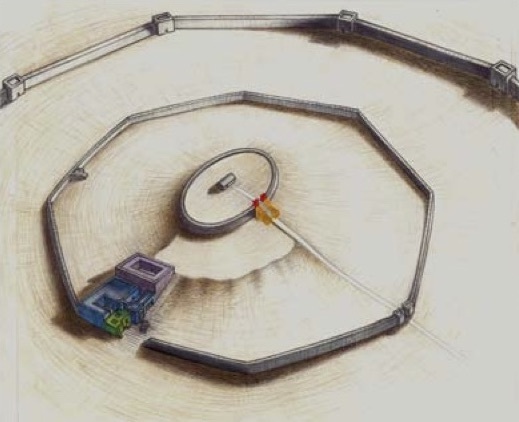 The system provides online access to the totality of the observations made in the field during the process of excavation: it is known as the Urkesh Global Record. This allows the reader to retrace the path of discovery and to independently evaluate it. While establishing a database, the system develops a novel approach to digital narrative. It is created automatically from field observations, and develops a proper argument that goes from the minutiae of the individual excavation units to the broader scope of the site as a whole.